At the wise old age of 6 I decided that I had no need to learn to read. I was determined not to waste my time learning to read. My mom was equally determined that I was going to learn to read. Reading, writing and basic computational skills are considered essential components of a good education. Of these three reading is the most important. Reading is the foundation upon which other academic skills are built. 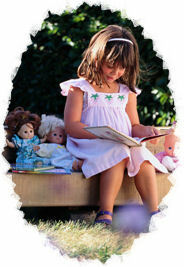 Mastery of reading skills in the primary grades has often been considered a good predictor of future academic success. The content subjects like history and science rely heavily upon the ability read, synthesize, analyzes and process information. Not only did I learn to read but I became a reader. I discovered that reading opened the doors to the amazing world of books. Through reading I have explored the world, relived important historical events and many other wonderful adventures. A little secret my mom shared was that if you can read you can learn to do anything. I have learned how to cook, scrapbooking techniques, make home repairs and even program a web page by reading. In fact, most my hobbies I have learned by reading. Educationally reading is the great equalizer. It can provide a well-rounded education regardless of the availability of formal education opportunities available. And that is, why reading is that important. Without reading any learning will be impossible. Ultimately, all learning bases upon the ability to read. (And believe me: I am so glad, that math isn’t the basis of all learning. If we’d communicated by math, I’d be a dyslexic). Hopefully, I can motivate my pupils to read with pleasure, when I’m a teacher. Good luck in teaching your students. Actually there is a related disorder dyscaluia that affects math.